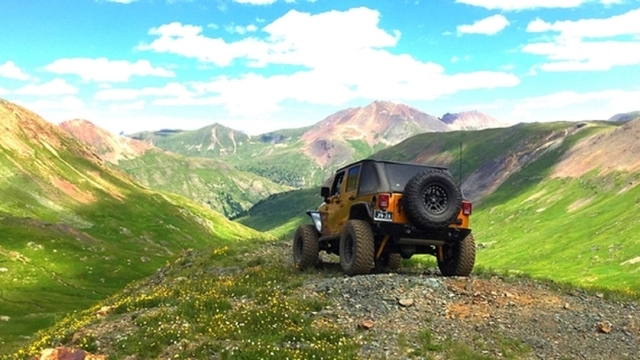 Congratulations to Jeepin Jen for September 2015 JOTM Winner! This picture was taken during our 2015 LSJC “Run to the Rockies” trip to Colorado. This was our 2nd day on the trails, after having some unfortunate down time with broken rear driveshaft. This was taken on Placer/Picayne Gulch trail outside of Animas Forks. Ron asked me what I was doing when I pulled the jeep over, parked and got out. I said “look at that scenery”! Enough said. I’m ready to go back! Thanks to those who voted for me! ← August 2015 JOTM Winner!